At the beginning of the 19th century, John-Lewis Brown (1769-1851), bought a vineyard and designed in the village of Cantenac, a traditional Tudor style château, reminding him of his Scottish origins. His name is forever linked to the Grand Cru Classé. His grandson, John-Lewis Brown (1829-1890) esteemed animal painter and "Chevalier de la Légion d'Honneur", spent time there during his childhood. The vineyard is managed in a more environmentally friendly way: the "sustainable approach" goes without saying. A perfect match between Men and Nature..."
Over 400 000 vinestocks are managed every year. Pruning, removal of buds, leaves and secondary shoots, hand harvest ..., several times per year the whole team works vine by vine and checks each single cluster. 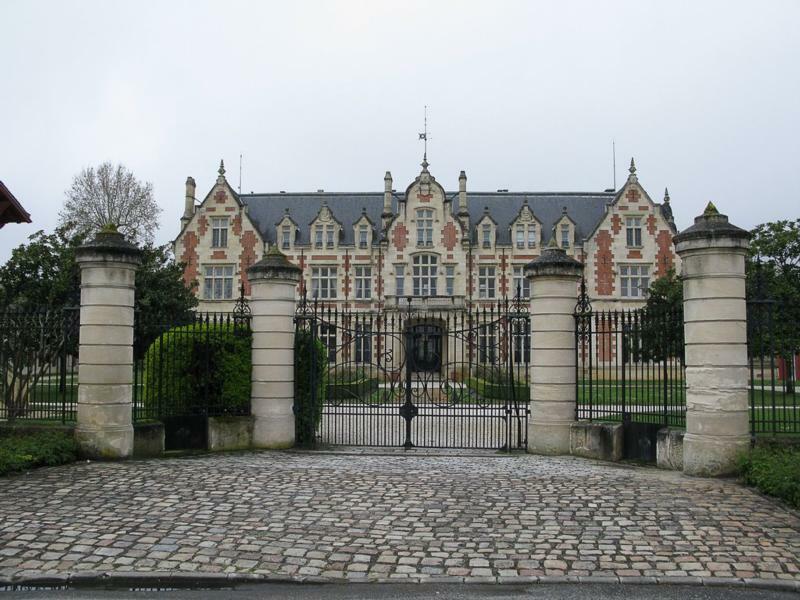 Wine Enthusiast 94 "The impressive Victorian baronial chateau of Cantenac Brown is one of the landmarks of Margaux. The wine is getting better each vintage. This is ripe and generous, full of freshly minted tannins and layers of wood over the ripe berry fruit. Drink this wine from 2024." ~R.V. Wine Spectator 92"This is perfumy and very pure, with lovely lilac and blackberry aromas followed by plum, cassis and black cherry fruit. The supple finish is caressed with toast that leaves a lingering, perfumy feel. Best from 2013 through 2023. 8,915 cases made." ~J.M. Wine Spectator 89"Aromas of blackberry, cherry, currant and lightly toasted oak. Full-bodied, with fine tannins and a fresh, clean finish. Very refined. A tad too short to merit outstanding. Best after 2010. (JS)"
Wine Spectator 87"Blackberry and light mineral follow through to a medium body, with fine tannins and a caressing finish. Best after 2010. 11,665 cases made."